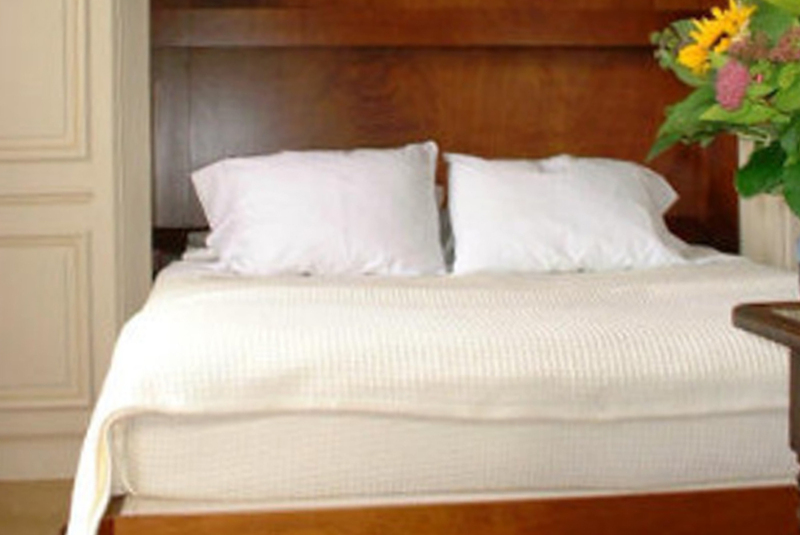 All our bedrooms have queen size beds, except Josephine, which has twin beds that can become a king size bed. All bedrooms have private bathrooms with large porcelain soaking bathtubs and overhead showers with doubled water pressure. Each bedroom is also air conditioned. 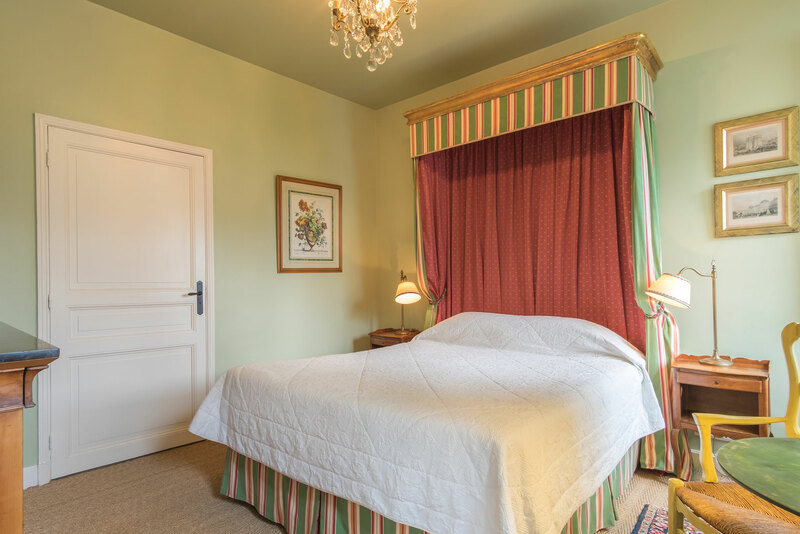 The price includes breakfast, parking and all taxes, except for the new tax added by the city of Amboise, as of September 1st, 2009, which is one Euro per person, per day, for guests over 18 years of age. Well behaved children of ten years or more are welcome in the Manoir, children of five years of age or more are welcome in La Maison de Gardien, and children of all ages are welcome in La Maison de Portail. 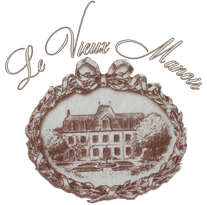 The Manoir is smoke free. Please go to our page “All Rates” to read our Cancellation Policy. 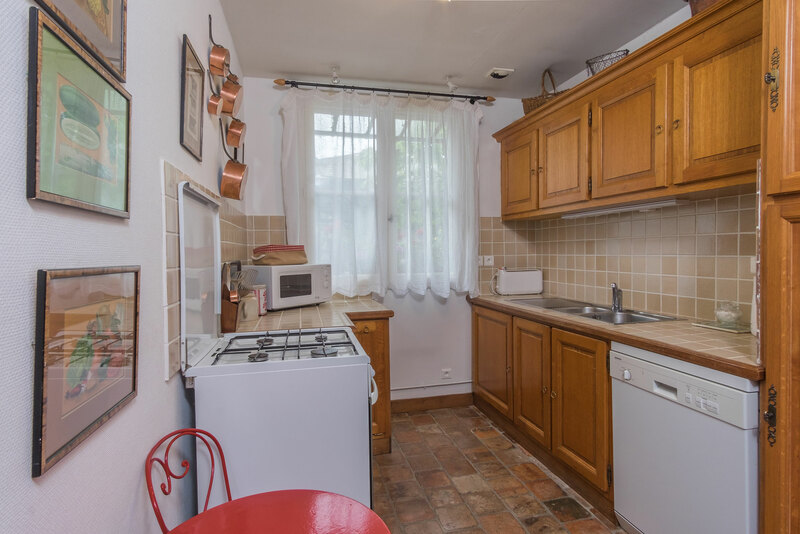 Breakfast is not included in the two cottages, La Maison de Gardien and L.a Maison de Portail. Unfortunately, we no longer accept reservations of only one night. 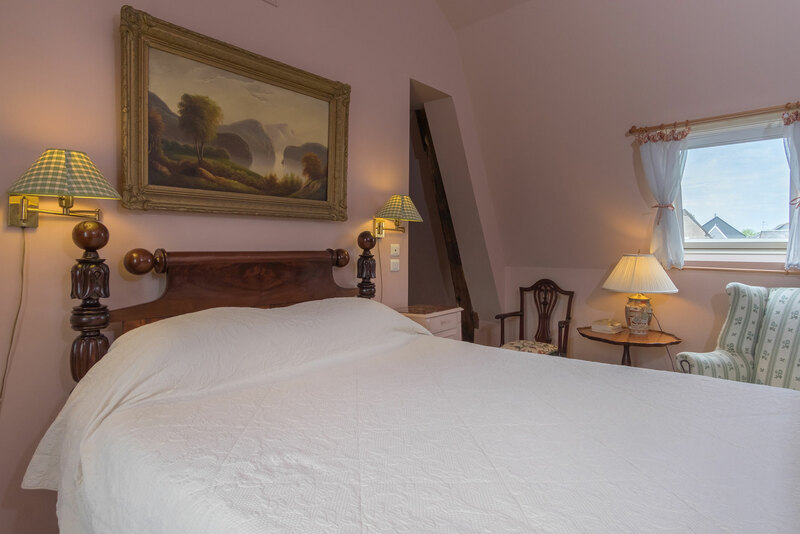 Colette has a queen size canopy bed and an antique day bed for an extra smaller person or just to enjoy as a sofa. 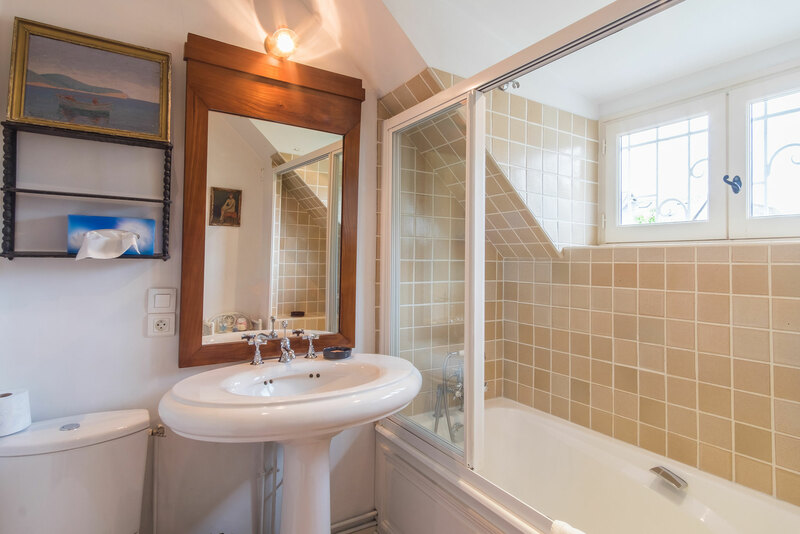 In the spacious bathroom the toilet is in its own enclosed space for more privacy. Perfect for longer stays with its ample closet and storage space. 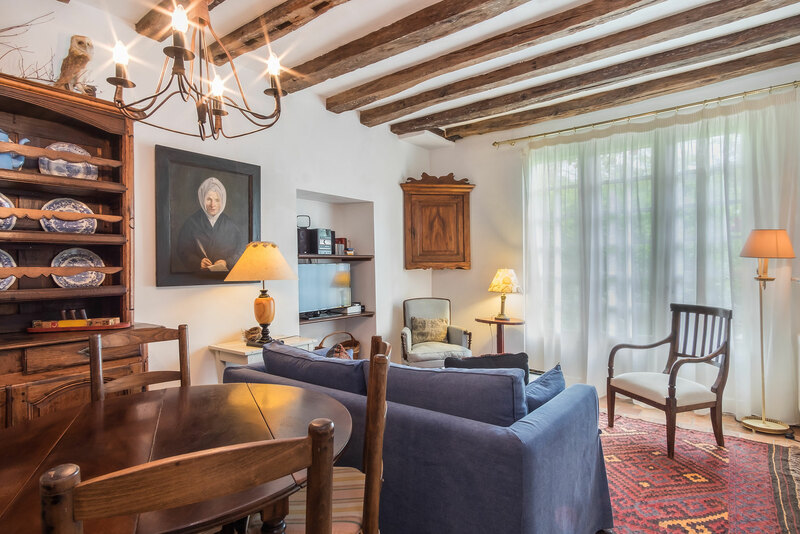 Prices in the Manoir include breakfast and all taxes, except for the new tax added by the City of Amboise, which is 1.00 euros per person, per day. George Sand has an extraordinary antique queen size cannon-ball bed. 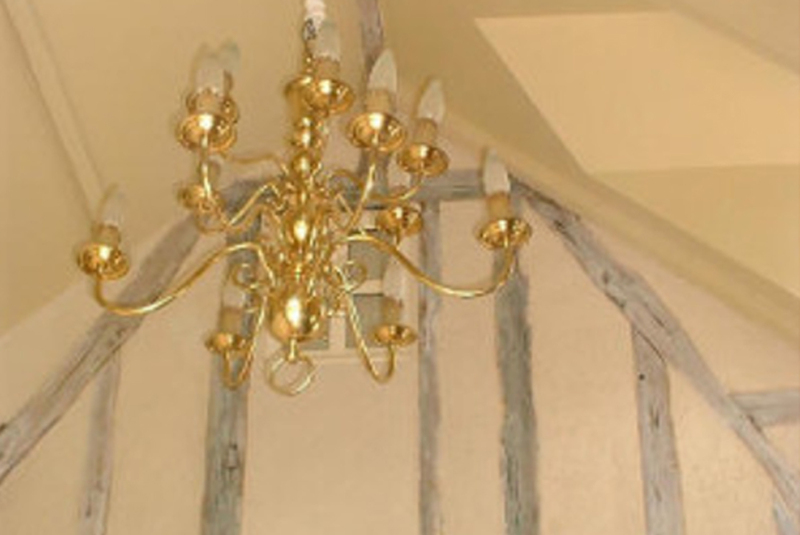 The room is on the top floor and has exposed antique 17th century oak beams. 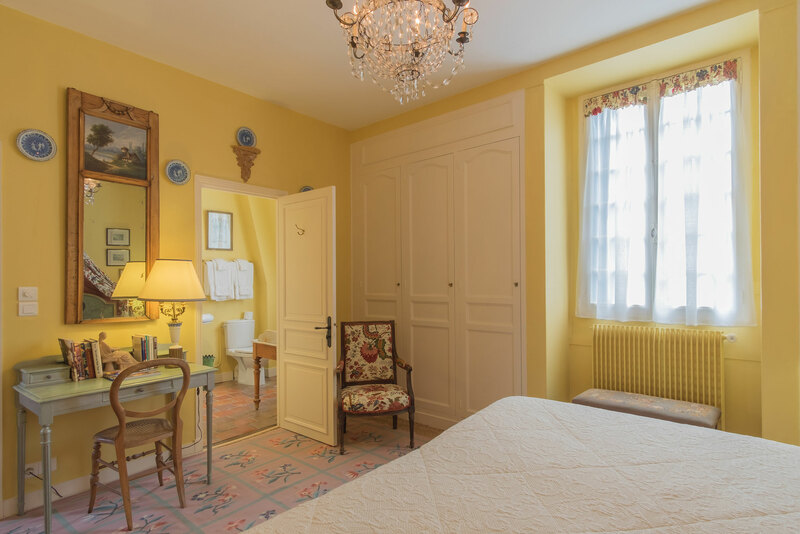 Georges Sand can be booked as a single room or as a suite with Madame du Barry for people travelling together. 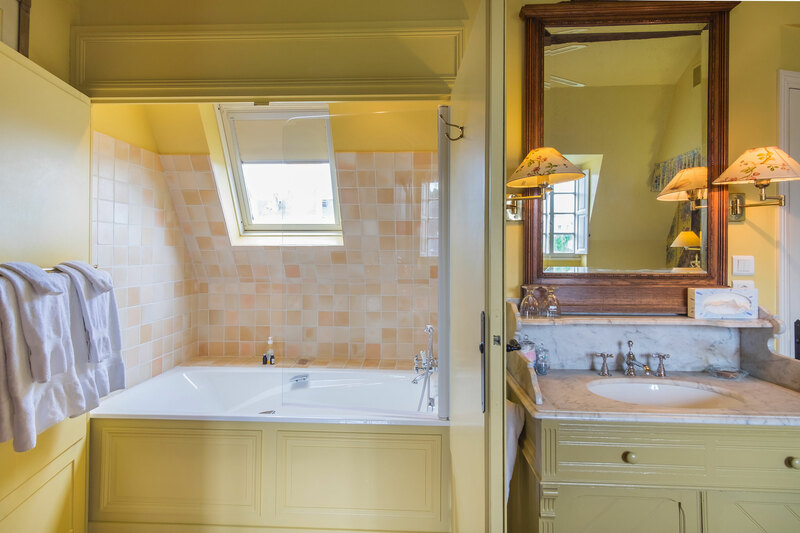 Both rooms have private baths, queen size beds and are only connected by a hall. 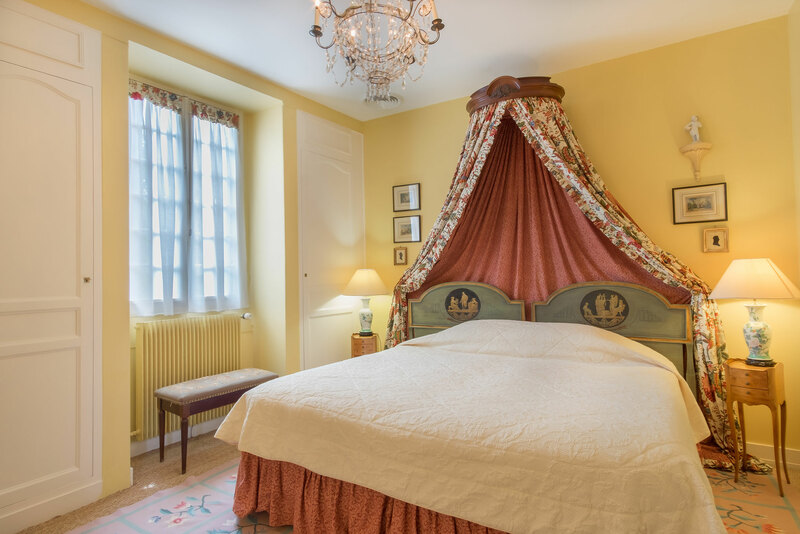 Josephine has twin beds, which can become a king size bed (with prior notice), and is decorated in the grand style of the last French Empire. With ample space, its perfect for longer stays. 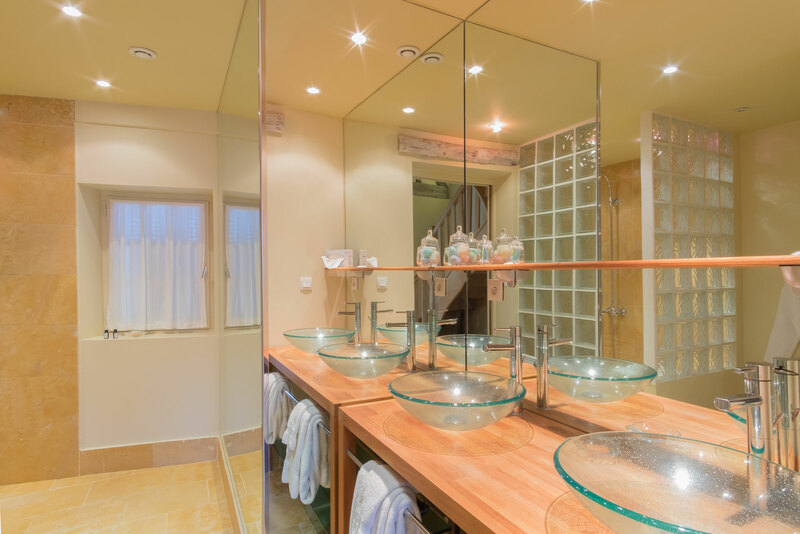 The bathroom is large and has a marble dressing table. Madame de Lafayette has a queen size bed against a fabric covered wall with a length of antique wrought iron fence as a headboard. 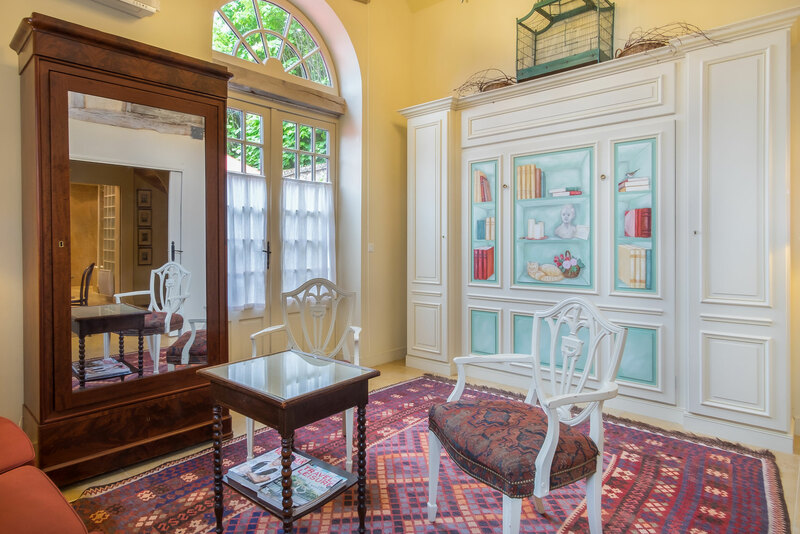 There is a small sofa and a large 19th century armoire. 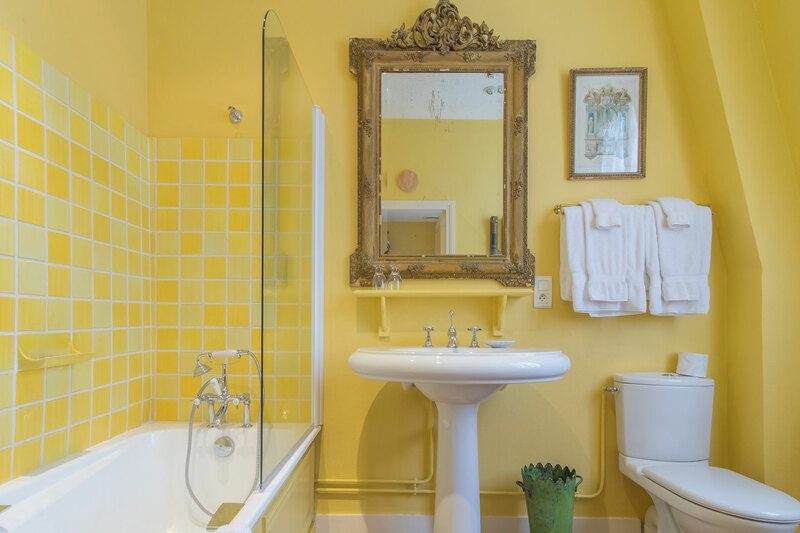 The bathtub/shower is hidden in the corner of the room behind beveled mirrored doors and the hand basin is in an antique dresser. The toilet is enclosed in a small private space. 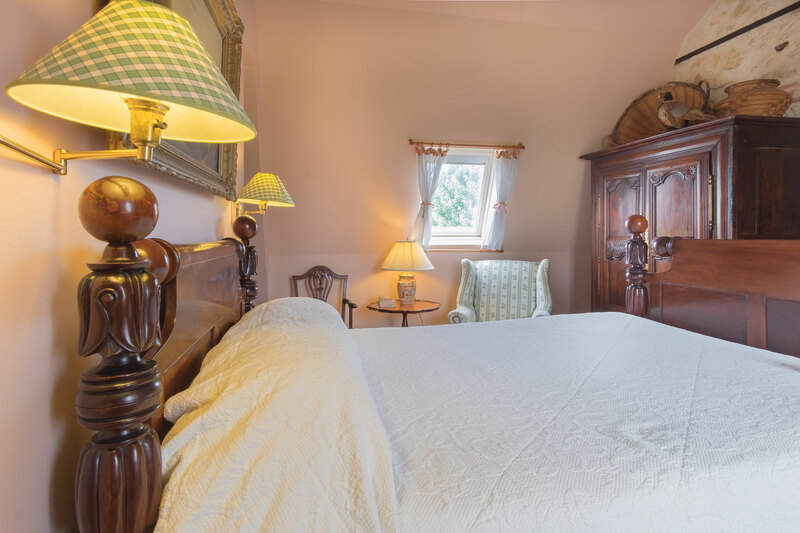 This is our most unique room and is excellent for longer stays. 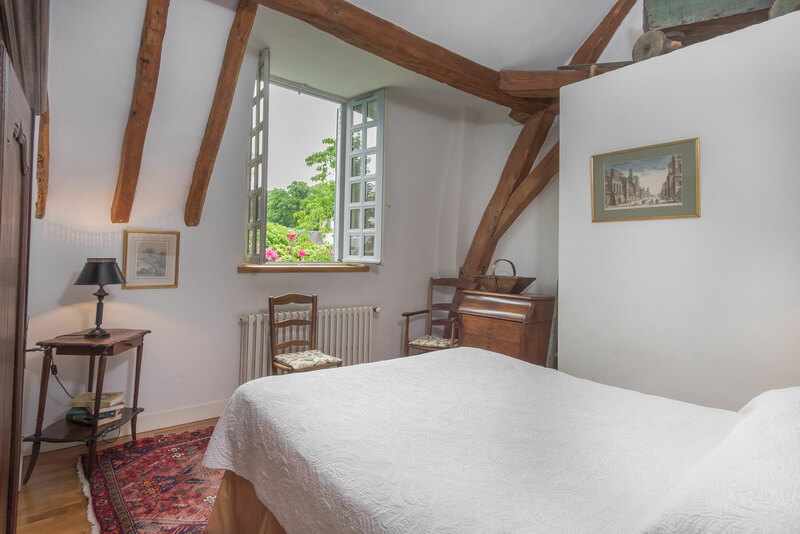 This smaller lovely room overlooks the back garden with its fountain and flowering parterre. 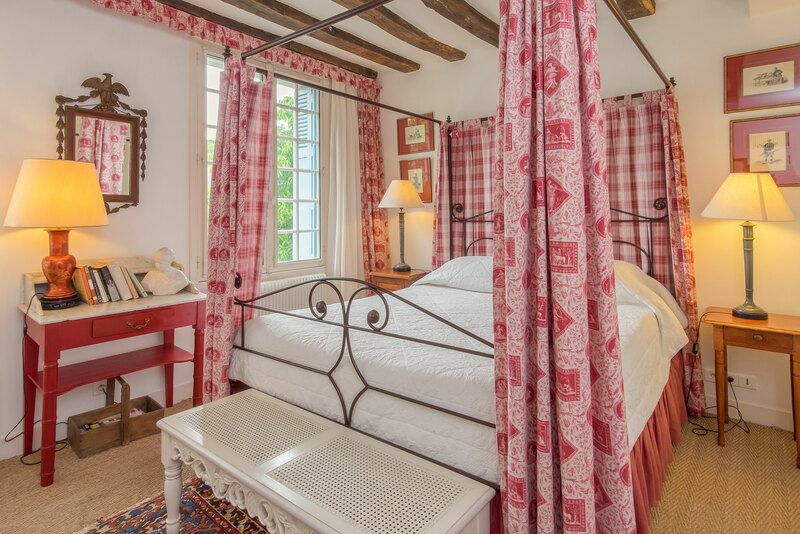 The luxurious bed hangings reflect the elegance of the 17th century. The bathroom is large and beautiful. 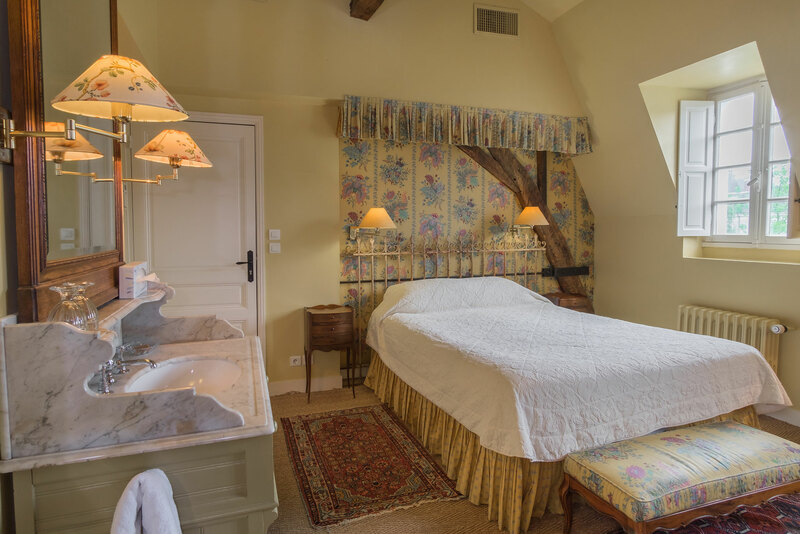 Madame du Barry is a charming smaller room with a view of the front garden and the fountain. 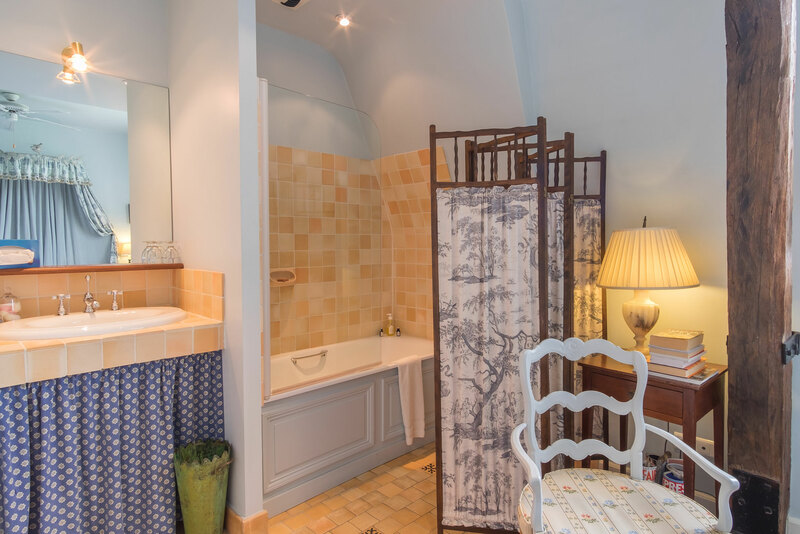 The porcelain soaking bathtub with a shower head is hidden behind an antique screen and the toilet is enclosed in a private space with a door just next to the wash basin. 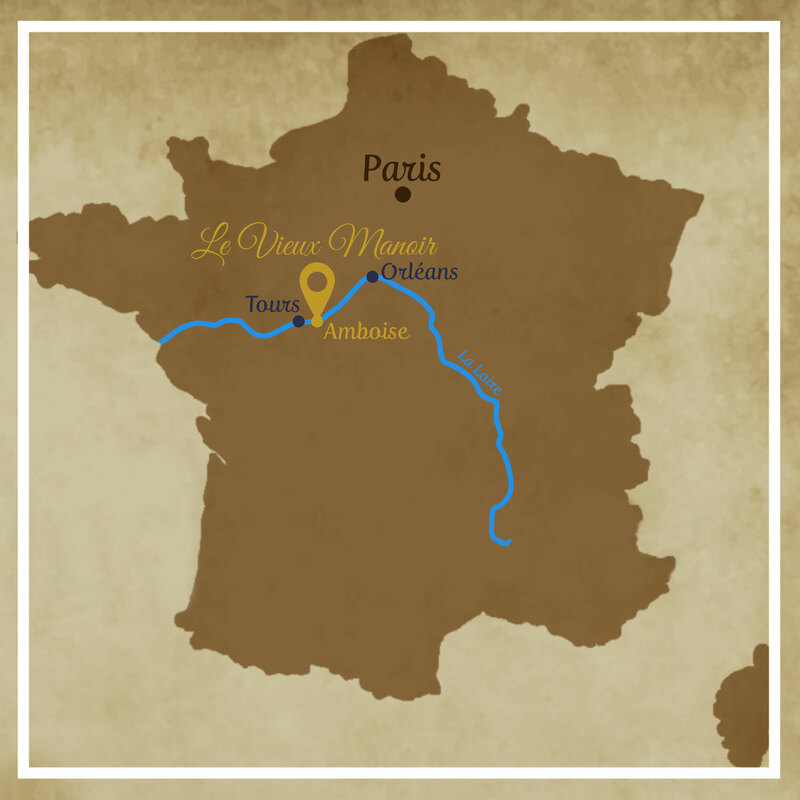 Madame du Barry can be booked as a single room or as a suite with George Sand for people travelling together. 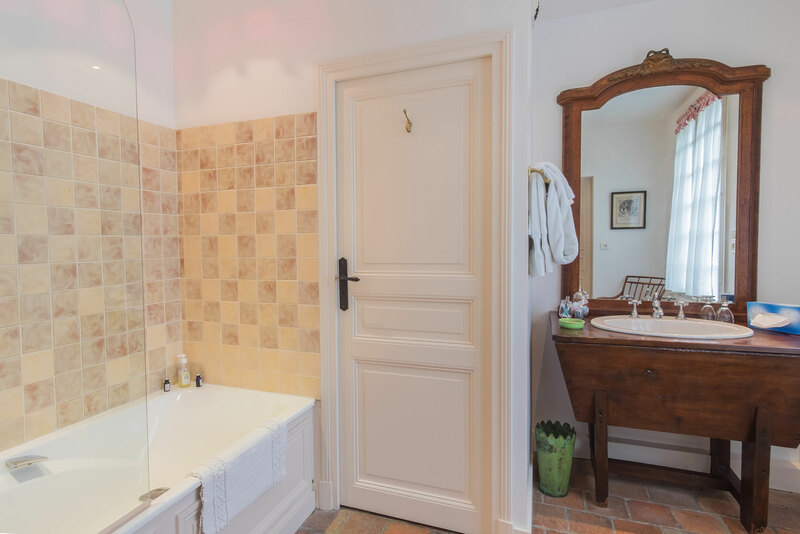 Both rooms have private baths, queen size beds, and are only connected by a hall. 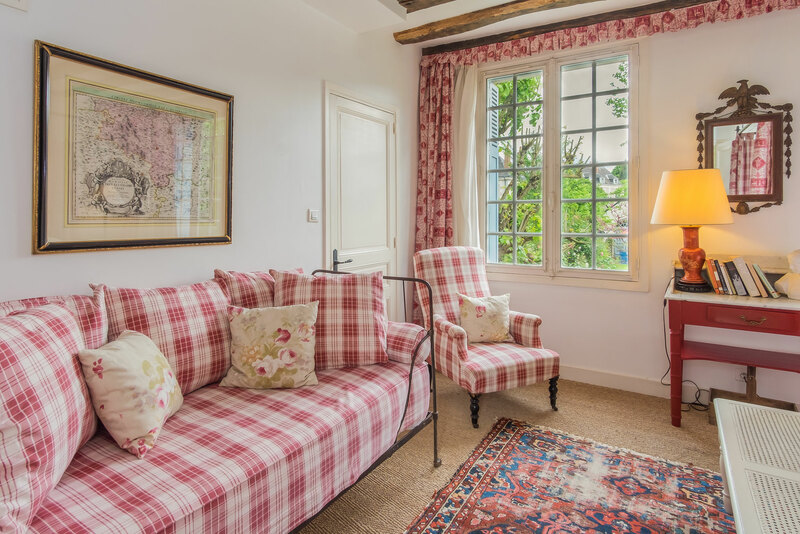 A two storied 17th century cottage is separated from the Manoir by a passageway. Upstairs it has two air conditioned bedrooms and a bathroom. Downstairs there is a completely furnished modern kitchen, a half bath, dining area, and living room with satellite television and CD player. 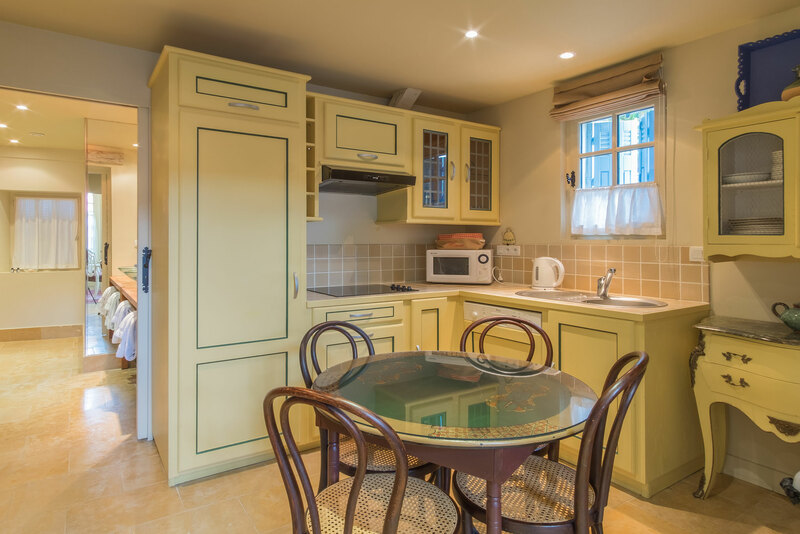 The cottage is self-catering, but daily maid service is included, except for the kitchen, which is the responsibility of the guests. 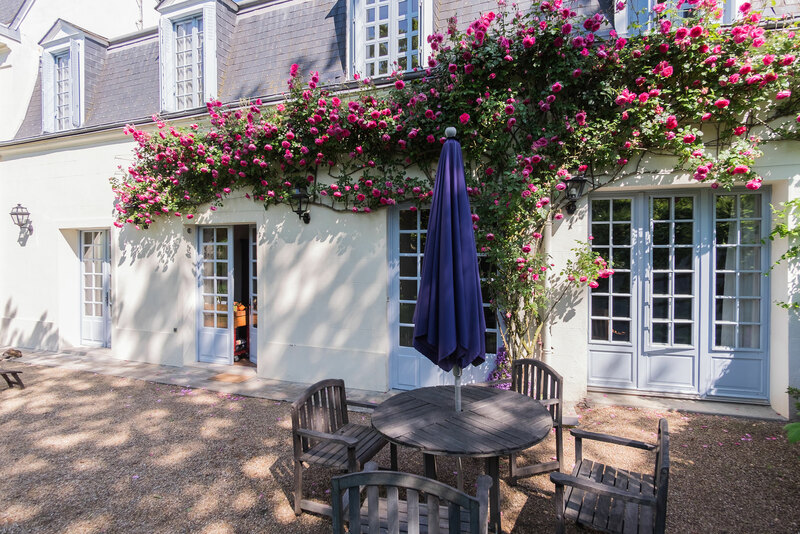 There is also a table and chairs in the garden for La Maison’s guests until 10:00 at night. Fresh croissants are delivered to your door each morning to help you prepare your breakfast. 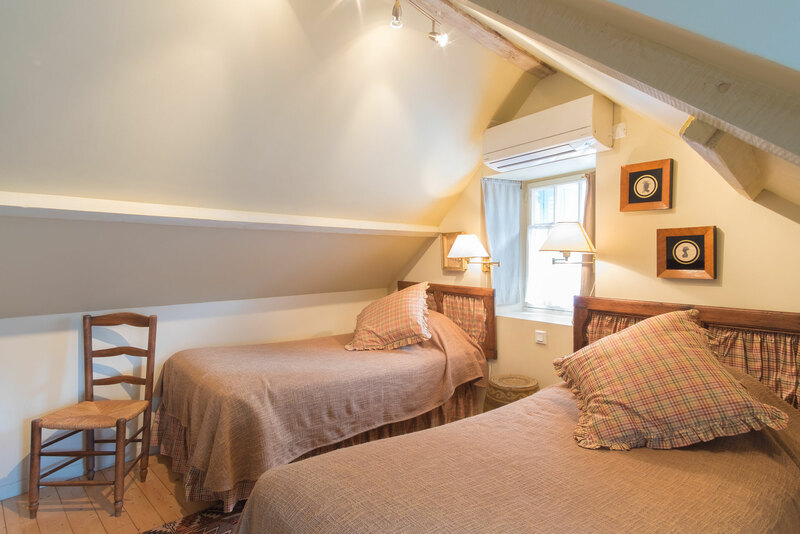 The cottage is available for up to four people and well behaved children of all ages are welcome. 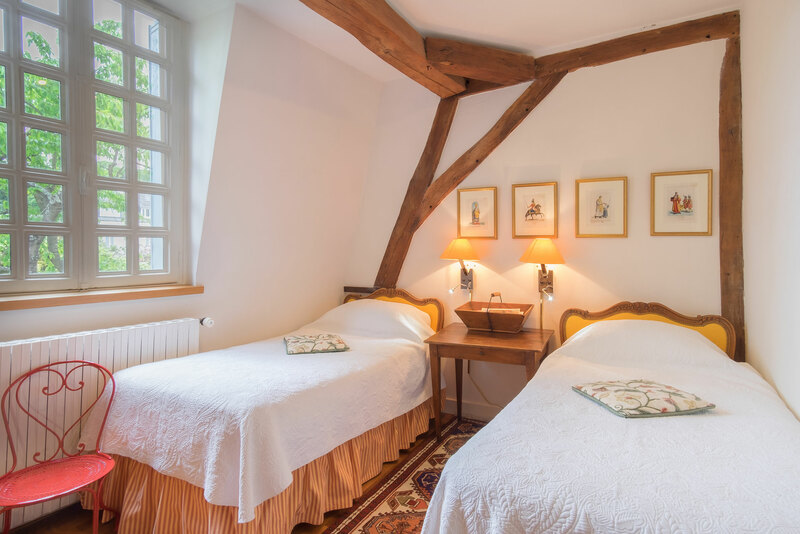 There is a minimum stay of three nights in La Maison de Gardien. 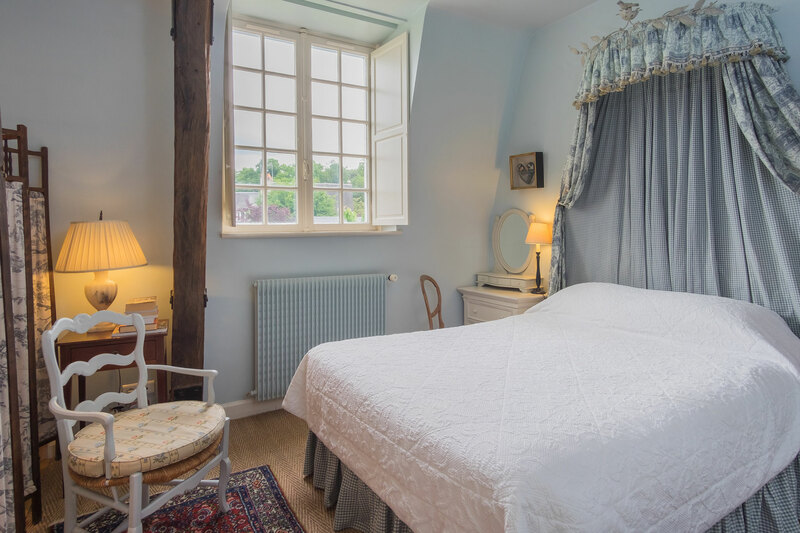 The gatehouse, a 17th century half timbered cottage, has been restored into luxury accommodations for up to four people, children of all ages, and is perfect for a romantic get-away. Upstairs, there is a bedroom with twin beds, under the low eaves, and a half bathroom with toilet and wash basin. Downstairs, hidden behind antique doors, is a comfortable queen size bed that lowers and transforms the two story living room into a charming bedroom. A sliding door insures privacy. 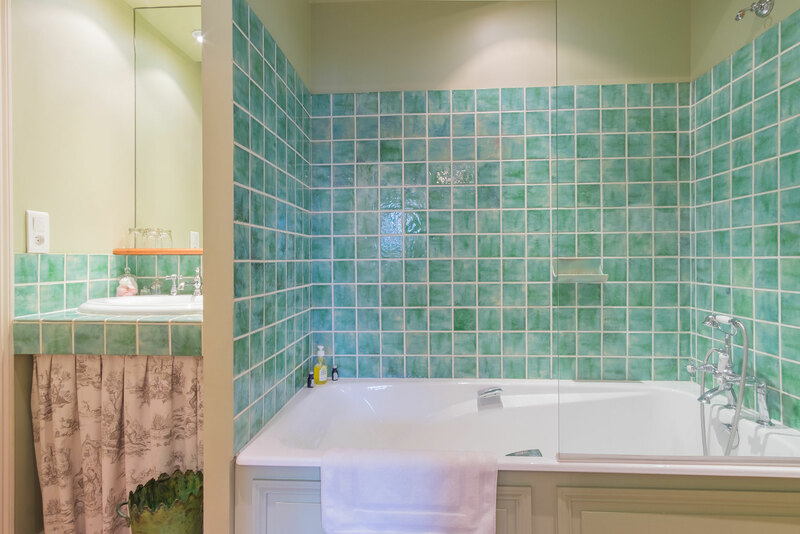 There is a spacious bathroom with a large walk-in shower with rain shower head and a completely furnished modern kitchen. Everything is provided to make your stay special including air conditioning, satellite television, and CD player. Wifi available in the Manor. The cottage is self-catering, but daily maid service is included, except for the kitchen, which is the responsibility of the guests. Fresh croissants are delivered to your door each morning to help you prepare your breakfast. La Maison de Portail is handicapped accessible, except for the bedroom and half bathroom upstairs. 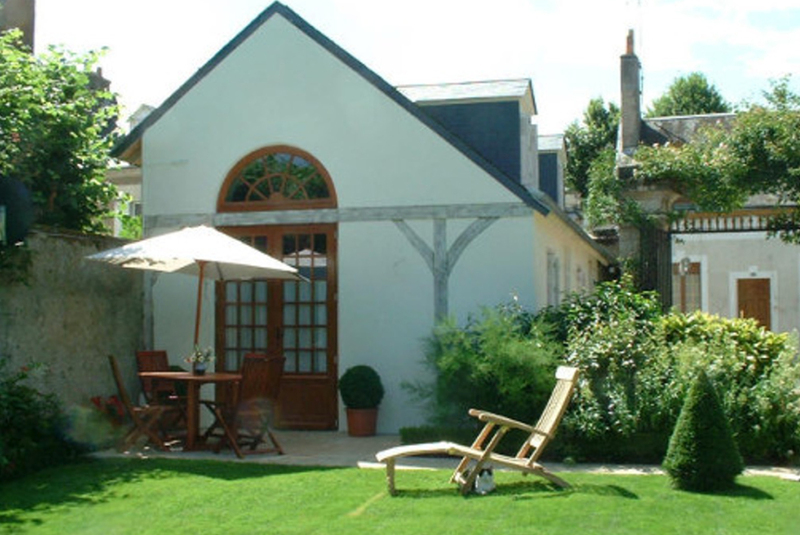 There is also a table and chairs in the garden for La Maison de Portail guests. 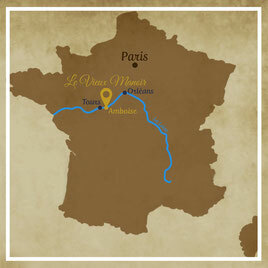 There is a minimum stay of two nights in La Maison de Portail.